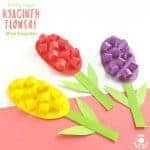 You guys know how much we love paper plate crafts here on Kids Craft Room! 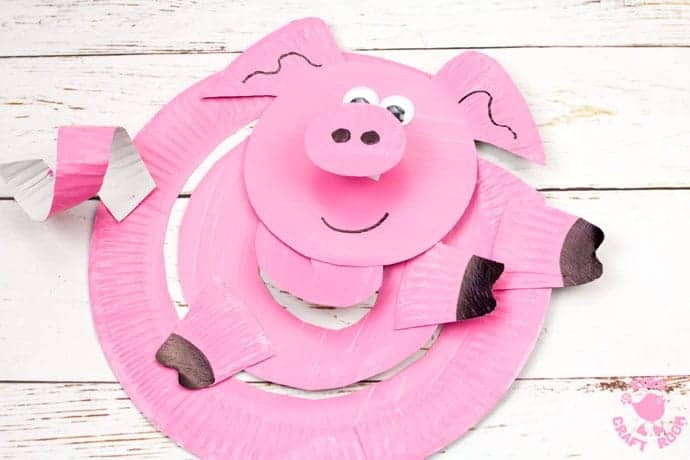 Today we’re sharing a fun idea for a Paper Plate Pig Twirler. 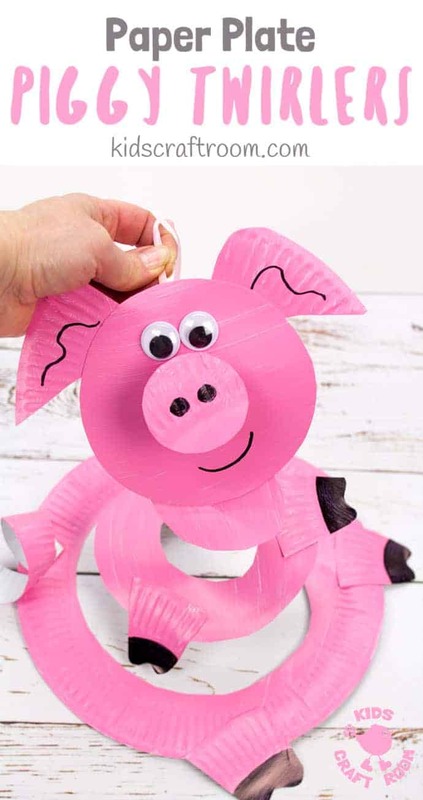 This cute and easy pig craft looks great hanging from the ceiling and when you blow it is spins round and round!This is a fun paper plate craft for Chinese Year Of The Pig and fabulous if you are learning about farm animals too. 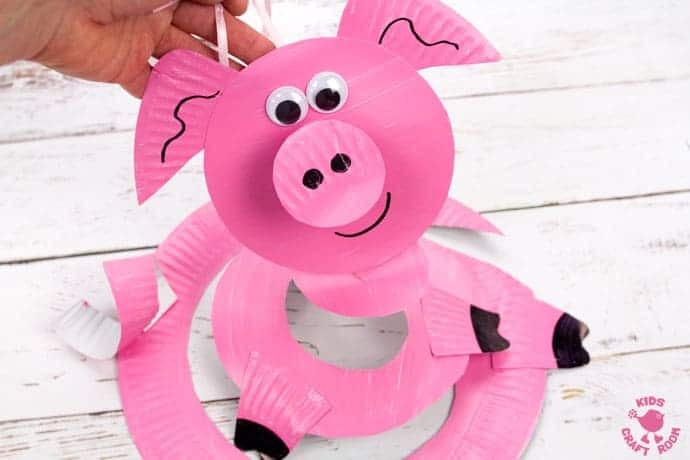 We’ve made paper plate pig twirlers today but you could easily make all sorts of animal crafts using the same whirligig idea. 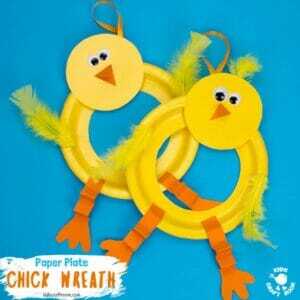 We’ve already made a paper plate polar bear twirler and have lots more farm animal twirlers planned too. I can’t wait to make cows, sheep, ducks and more. Our friend Maggy over at Red Ted Art has a great Chinese Dragon Whirligig too, I totally blame her for starting us on our twirler craft obsession LOL! 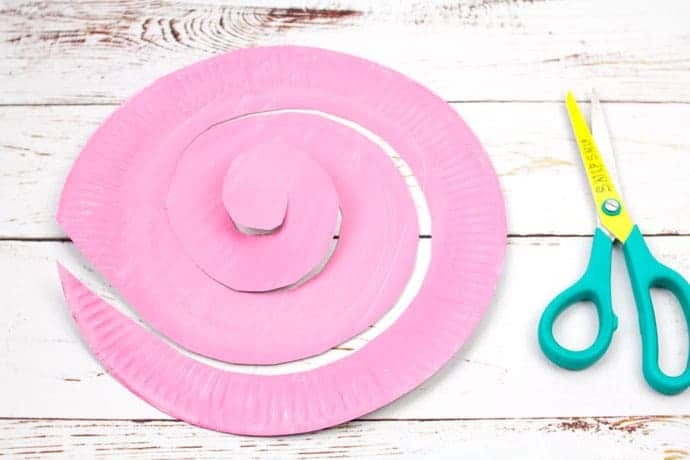 Be warned paper plate twirlers are super easy to make and totally addictive! 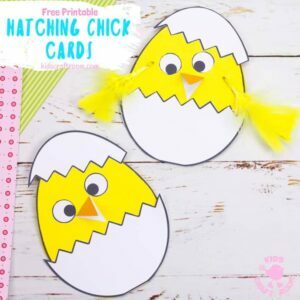 Grab your paper plates and let’s twirl some farmyard animal fun. These pig twirlers are adorable! 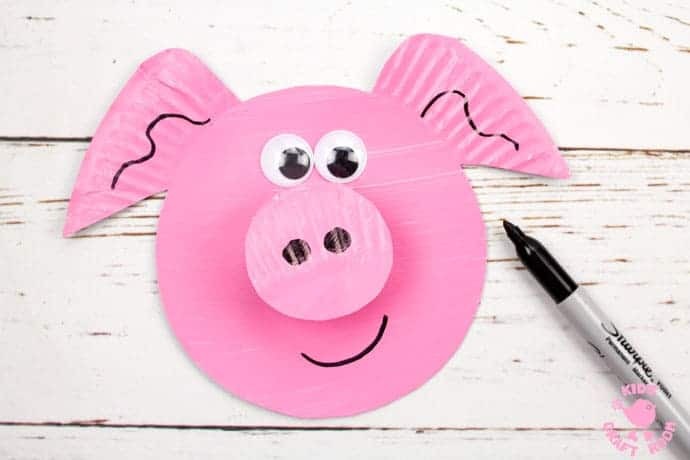 Why not make some fun Paper Plate Pig Masks to go with them too? 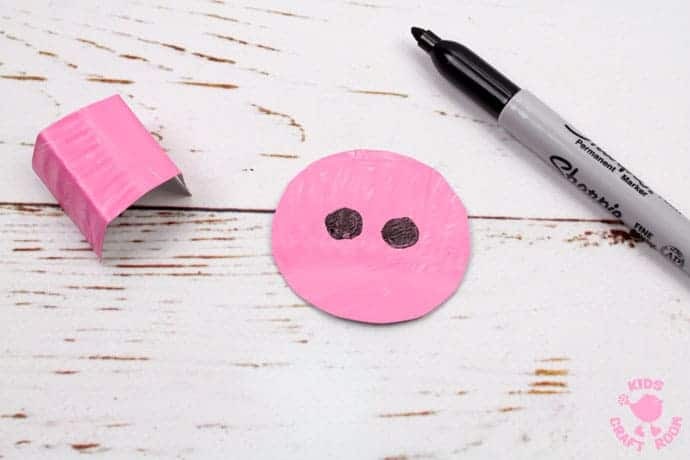 1 – Paint two paper plates pink. 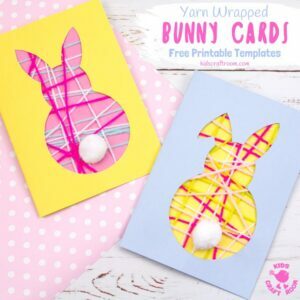 One will make the body for your pig twirler craft and the other will make the head, trotters and curly tail. 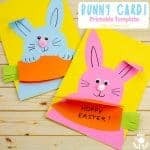 2 – Cut one of the paper plates into a spiral, starting from the outside and working your way into the middle. 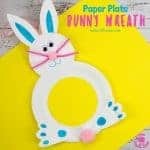 3 – Cut the middle out of the second paper plate and put it to one side. It will become the pig’s head later. 4 – Cut two pig ears from the rim of the second plate. Use the photograph above as a guide. 5 – Cut 4 pig trotters from the rim of the second plate. 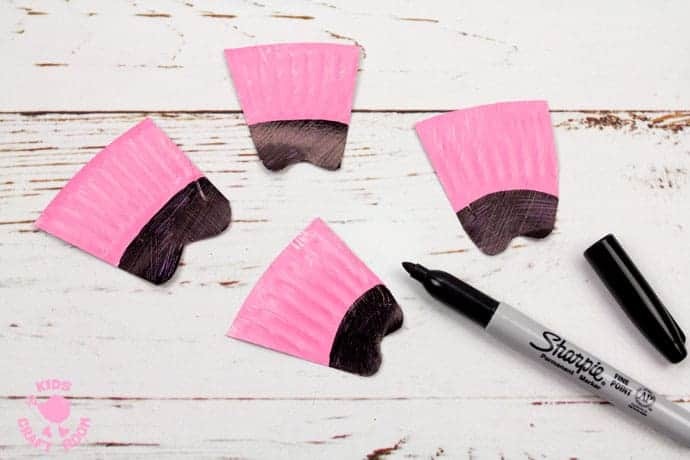 6 – Use your Sharpie Pen to colour the bottom of the pig’s legs black. 7 – Cut a round pig snout out of the rim of the second paper plate and draw on two nostrils. 9 – Glue the pig’s snout onto the U shape. This will lift the nose from the face giving a lovely 3D appearance. 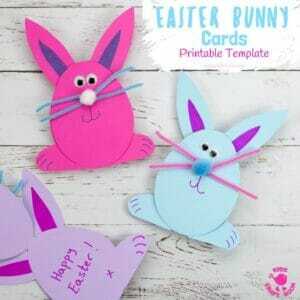 10 – Glue the pig’s ears, nose and wiggle eyes onto the round head. Draw on a smile and ear folds. 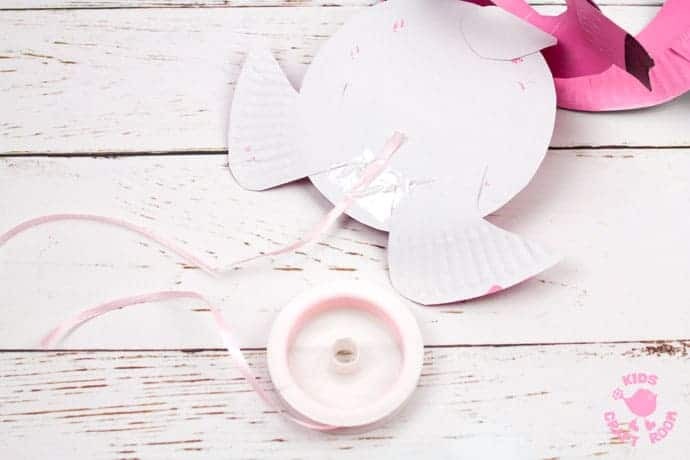 11 – Cut a thin strip of paper plate rim and wrap it around your pen to make a curly pig tail. 12 – Glue the pig’s head, trotters and tail onto the body. 13 – Use sticky tape to attach a piece of ribbon to the back of the head. 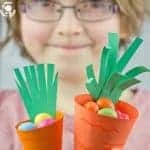 14 – Now you can hold the ribbon and give your paper plate pig twirler a blow. It’s so fun to make it spin round! 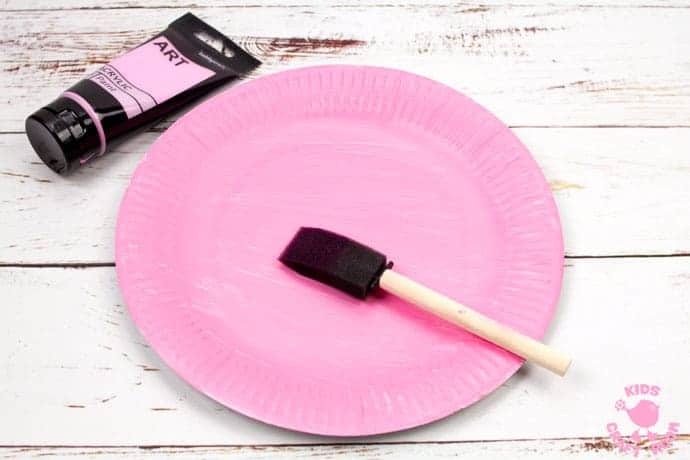 Paint two paper plates pink. 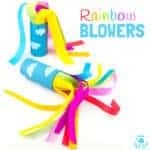 One will make the body for your pig twirler craft and the other will make the head, trotters and curly tail. 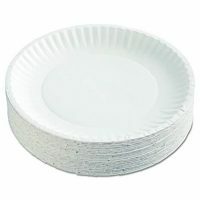 Cut one of the paper plates into a spiral, starting from the outside and working your way into the middle. Cut the middle out of the second paper plate and put it to one side. It will become the pig’s head later. Cut two pig ears from the rim of the second plate. Cut 4 pig trotters from the rim of the second plate. Use your Sharpie Pen to colour the bottom of the pig’s legs black. 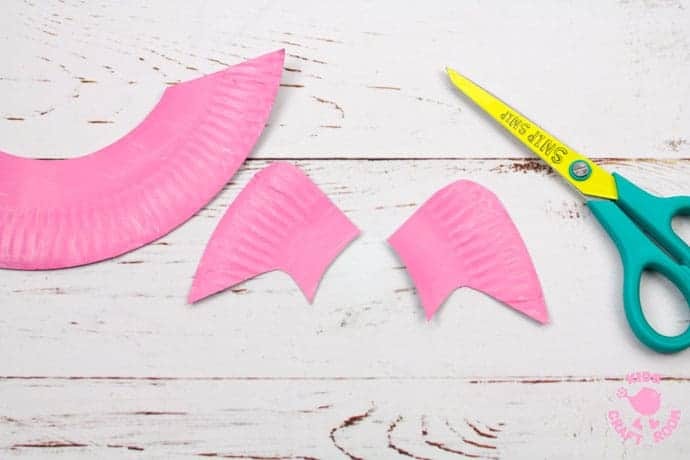 Cut a round pig snout out of the rim of the second paper plate and draw on two nostrils. 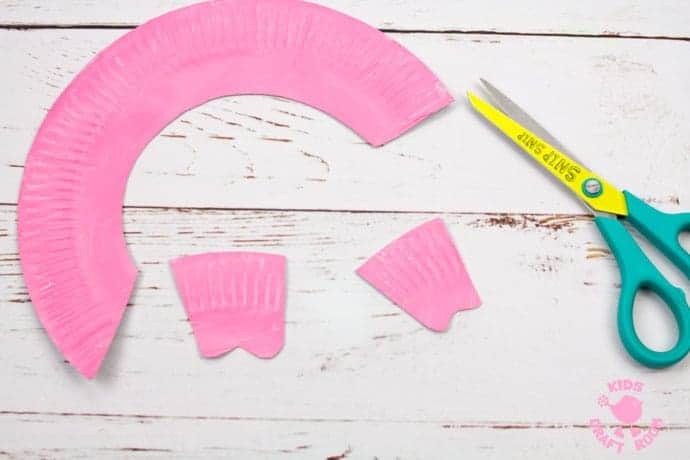 Cut a small section of paper plate rim and fold it into a U shape. Glue the pig’s snout onto the U shape. 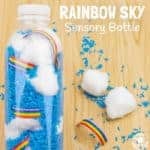 This will lift the nose from the face giving a lovely 3D appearance. 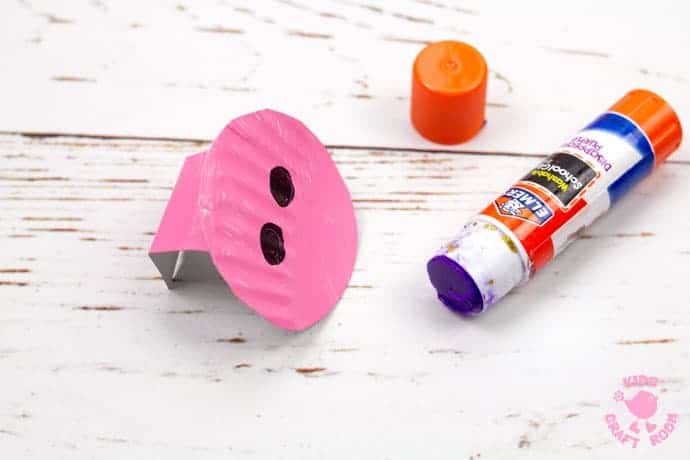 Glue the pig’s ears, nose and wiggle eyes onto the round head. Draw on a smile and ear folds. 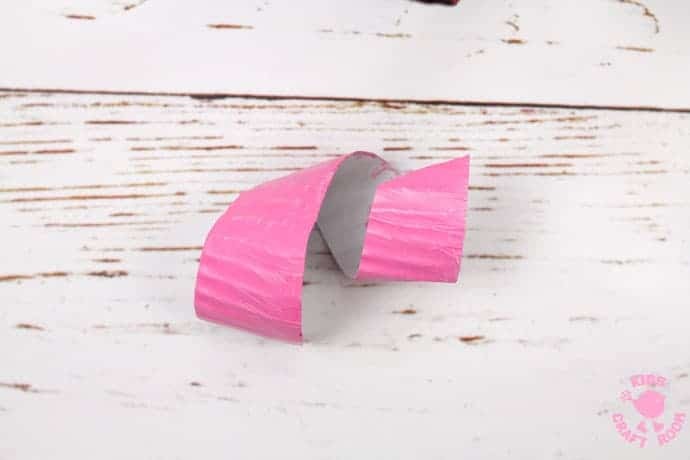 Cut a thin strip of paper plate rim and wrap it around your pen to make a curly pig tail. Glue the pig’s head, trotters and tail onto the body. Use sticky tape to attach a piece of ribbon to the back of the head. 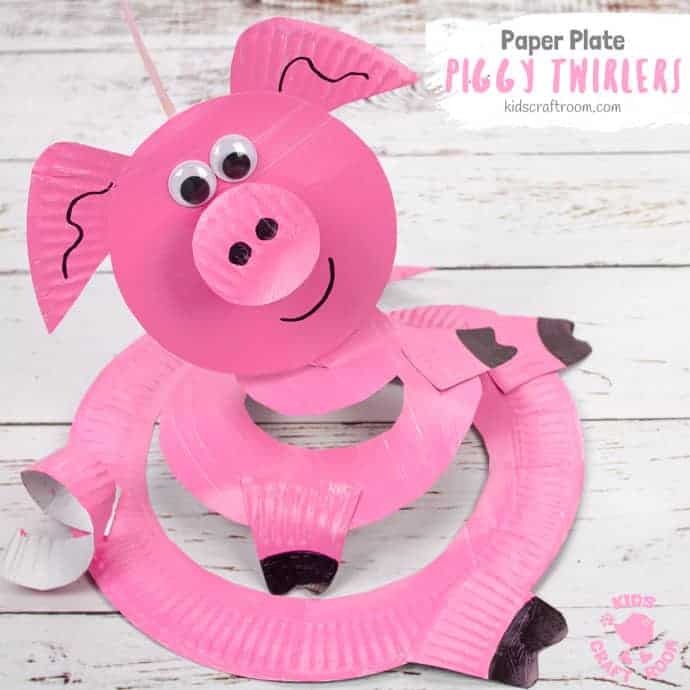 ﻿Now you can hold the ribbon and give your paper plate pig twirler a blow. It’s so fun to make it spin round!